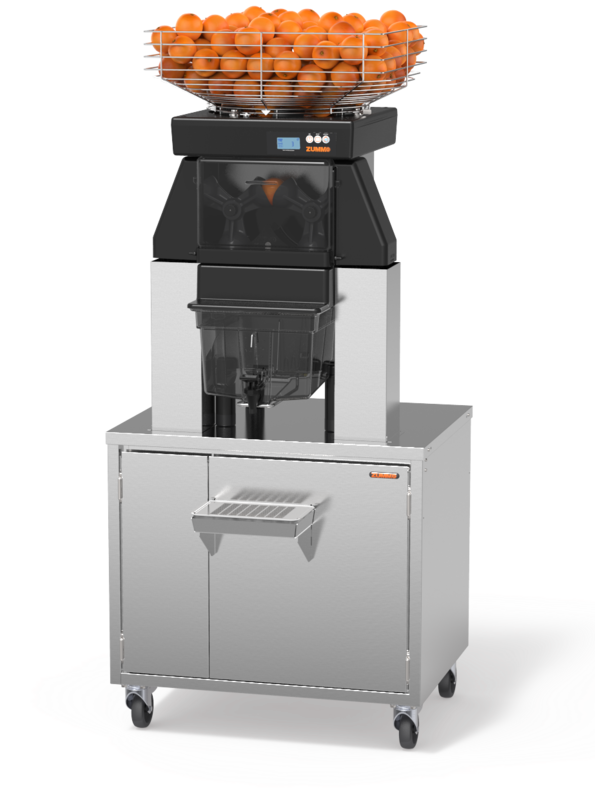 A high-yielding, super-fast Zummo Zummo Z40 Service Cabinet Plus juicer that’s ideal for establishments where demand for juice is high. All Zummo machines have a unique action, vertical squeezing. One at a time, the fruit is cut in half then squeezed without the juice coming into contact with the bitter peel. The result – fresh, natural fruit juice that tastes delicious. The Z40 Service Cabinet Plus is suitable for oranges, limes, lemons, mandarins, grapefruits and pomegranates. 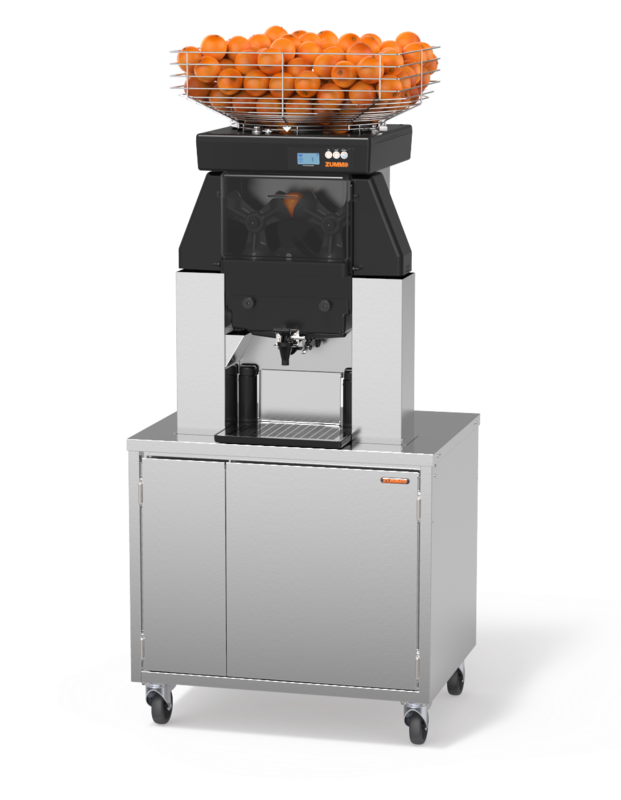 The top-mounted rotating feeder holds up to 20 kg (44 lbs) of fruit. Digital programmer and fruit counter to monitor the number of fruits squeezed, plus a digital display screen that provides information on the machine’s operating status. Quick and easy to clean. It only takes 6/7 minutes to disassemble, clean, dry and reassemble the removable parts. Drip tray and grille, stainless steel waste bin, self-cleaning filter. 410w. Consumption on standby - 2.4w. 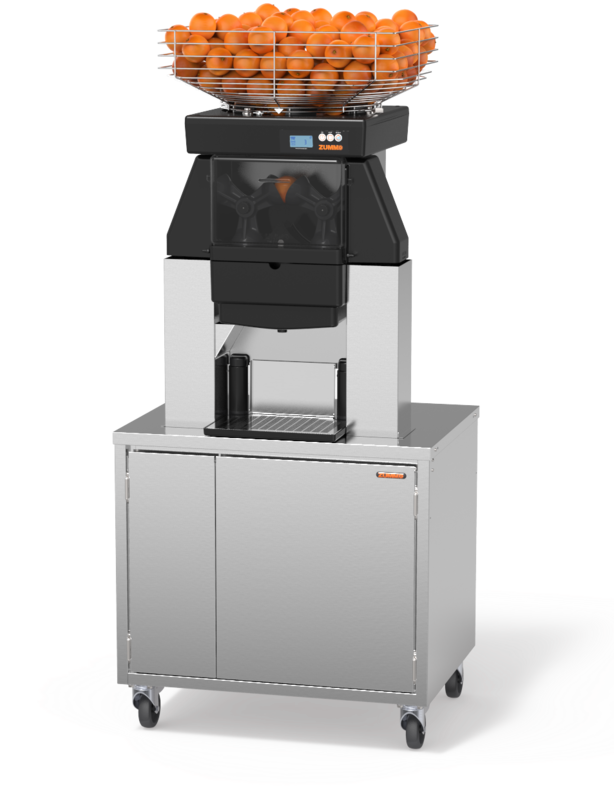 The Zummo z40 juicer machine features an automatic triple safety blocking sensor with thermal cut-out.